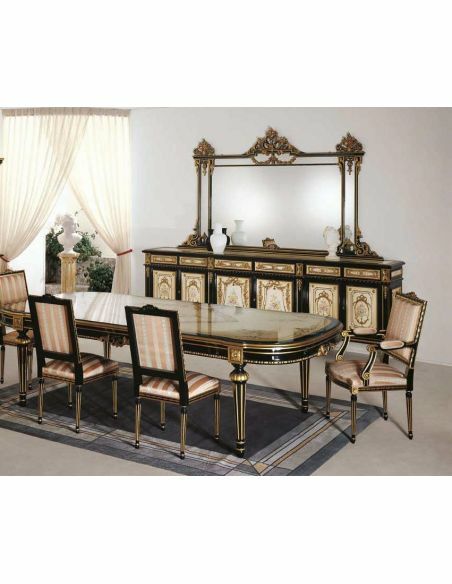 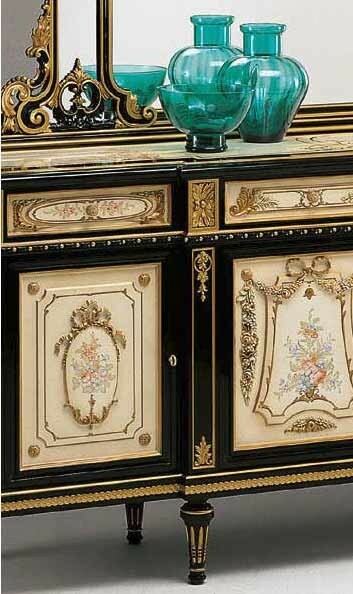 Luxurious Black and Beige Dining Set from our European hand painted furniture collection. 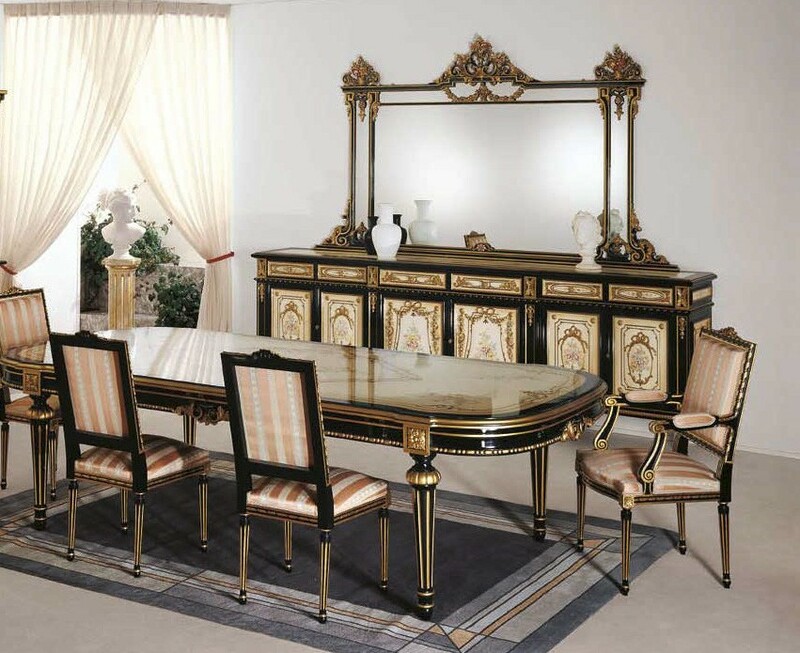 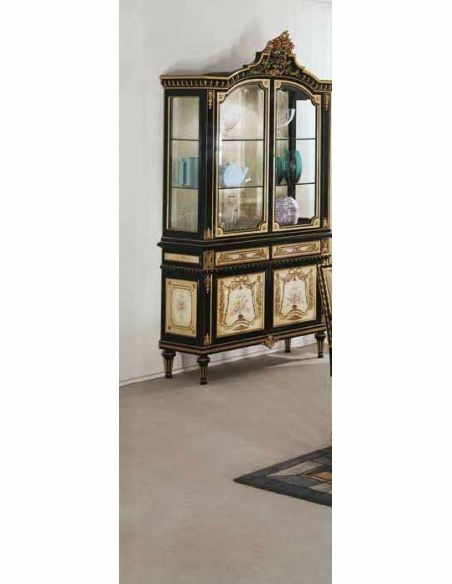 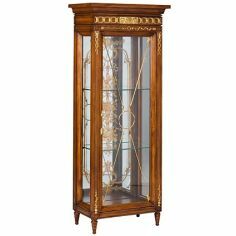 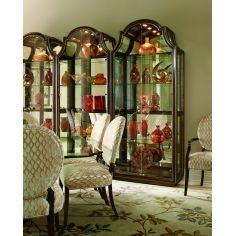 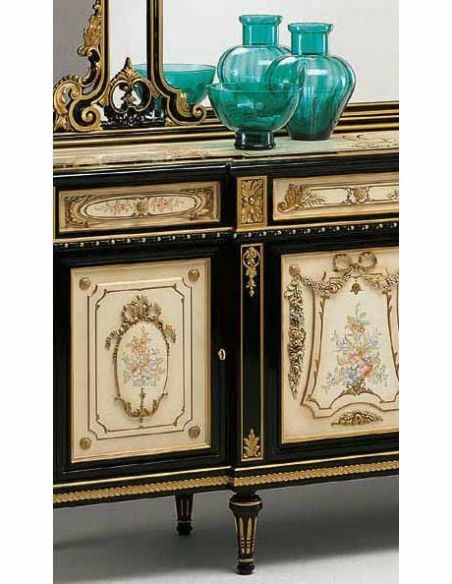 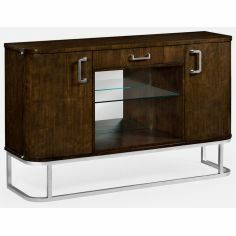 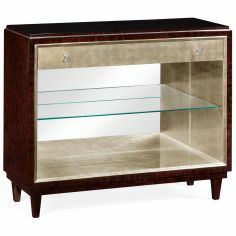 Composed of Table with 4 legs, Chairs, Showcase with 2 doors with beveled curved crystals and 2 drawers, Sideboard with 6 doors and 6 drawers, related Mirror. 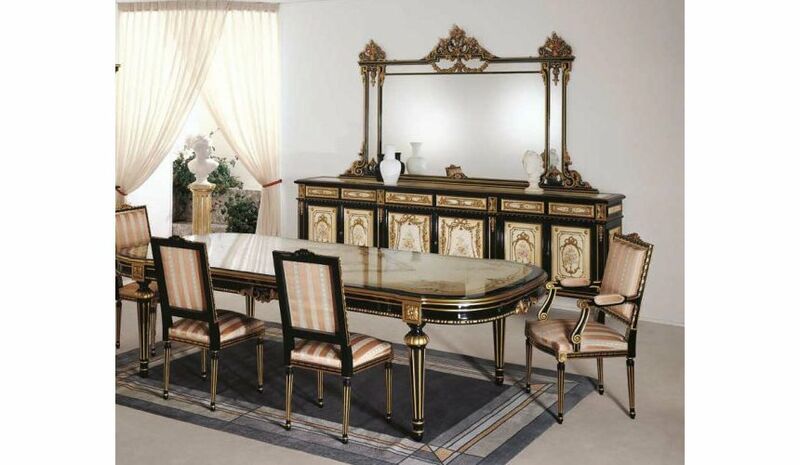 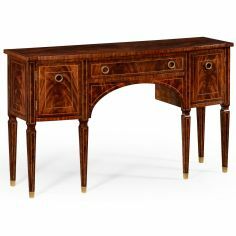 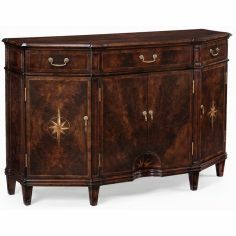 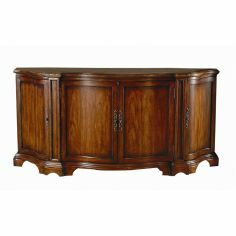 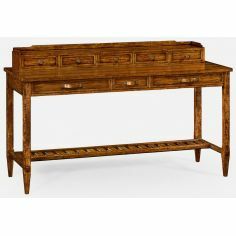 TABLE: 109.45" x 50.39" x 30.71"
CHAIR: 19.68" X 22.44" X 40.16"
ARM CHAIR: 21.65" X 24.41" X 40.16"
SIDEBOARD: 119.29" X 20.87" X 40.16"
SHOWCASE: 49.61" X 23.62" X 98.42"